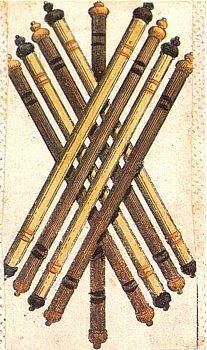 Immediately below is your Planetary Tarot Spread with the cards in position. 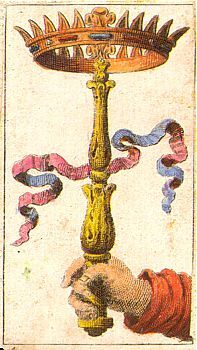 Below that are details about the symbolism of each position and the meaning of each card. 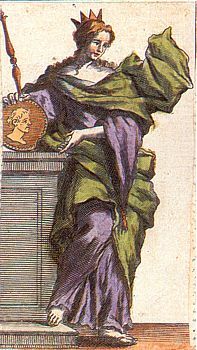 Click a card for a larger image. 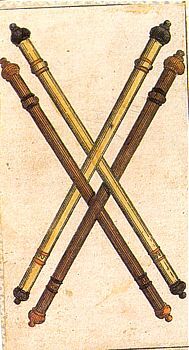 This card represents the force of your will, the mastery of skills and your creative talents. Work will be well done. Peace and harmony will be realized. 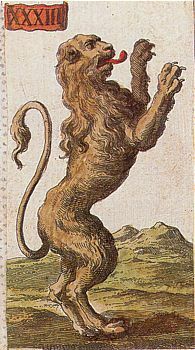 Leo denotes the power to be a leader without becoming tyrannical. A new venture is on the horizon. This new venture may be anything from a journey or business to a family. There are obstacles before you. 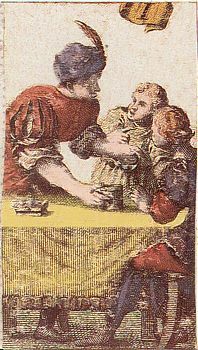 Health problems, discontent and adversity may need to be overcome. 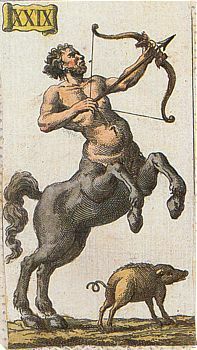 Sagittarius reversed denotes the unpleasant qualities of a bully and a lack of self-control. 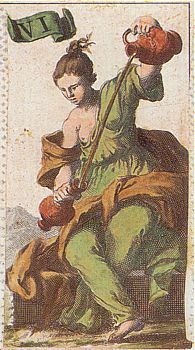 Temperance reversed denotes corruption, disorganization, fighting and interests at odds with one another. There is a general lack of balance.